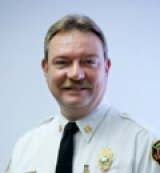 HUNTINGTON, WV (HNN) – Council’s Finance Committee chairman pursued a daunting question --- How to support the Huntington Fire Chief and stay within the budget. One of the grants which Chief C. Craig Moore seeks council approval adds ten new firefighters. The grant pays their salaries for two years, after that, it’s up to the city to come up with about $500,000 a year. “I don’t know how we can afford ten new fire fighters,” Williams told HNN by phone Thursday evening. But, he did see possible compromise, such as requesting in the proposal a lesser number of new firefighters that the city can sustain. Since new firefighters cannot be covered through the user fee (like police officers), Williams suggested application of a forward looking plan that four fulltime firefighters. He said , perhaps, the number of new hires could be reduced to four, so that the two years of grant funded salaries actually create a general fund expenditure reduction. The time frame would be particularly imperative since the city enters the budget hearings with major ‘what if’s’ on the platter. Specifically, the tax reform plan which if passed by the Home Rule Board likely faces a court challenge. Simultaneously, the Home Rule authority sunsets in 2013. Expressing a bit of frustration with the delays on the city’s tax reform plan, Williams indicated that the Home Rule Committee would meet March 17 to hear Huntington’s proposal which includes the occupation tax, sales tax, and reduction in other business taxes. An approval by that committee in March would likely translate into implementation on or about July 1. Unfortunately, “next year’s legislature” will be looking for data to support extension or expansion of the pilot program. That leaves Huntington with about six months of receipts to demonstrate success. As for the law suit threat challenging the occupation tax’s constitutionality, Williams turned to a track meet for a metaphor: “The gun goes off” and athletes start running. If there’s a second shot, the action stops as it signals a false start. Bottom line: “Anybody can sue,” thus, if there’s a thumbs up from the Home Rule Board, Williams speaking personally and not for a committee or council, would implement the tax reforms quickly. Should a court order halt collection, the city would obey it.